We recognise that Sustainable Growth requires us to balance our economic performance with our environmental and social responsibilities which include being a good corporate citizen and operating ethically. Our sustainability agenda includes a strong focus on progressively increasing resource efficiency. This requires us to go beyond compliance and actively reduce our energy and water use as well as our use of other non-renewable resources. Our Community Investment Framework helps us to build lasting, sustainable and meaningful relationships with local communities and improve the level of engagement with our employees, as they are empowered to make a difference within their local communities. As an international manufacturer of industrial explosives and fertilisers, our operations rely on resources such as natural gas and water and have the potential to impact the environment through emissions of Greenhouse Gases (GHG), waste generation and contamination of soil and groundwater. We take our environmental responsibility seriously and are committed to our Value of “Care for the Community & our Environment”. We have in place and continue to improve the management processes and systems to make our operations and products more environmentally sustainable and seek to respond to our stakeholders in regard to our environmental impacts and dependencies. 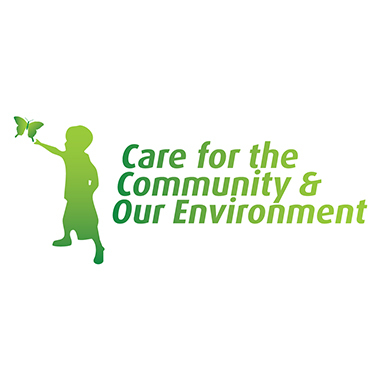 As per our Value of “Care for the Community & our Environment”, we apply a continuous improvement approach to management of environmental matters, focusing on the efficient use of non-renewable resources, environmental management at our sites and the rehabilitation and remediation of contaminated sites. • strive to minimise our impact on the environment. Our sustainability agenda includes a strong focus on progressively increasing resource efficiency. This requires us to go beyond compliance and actively reduce our energy and water use as well as our use of other non-renewable resources. Our site-based approach to environmental and social sustainability will expand to include our entire value chain as our sustainability approach matures. We understand that long term and meaningful relationships with our communities are fundamental to maintaining our social license to operate and we believe we have an economic and social responsibility to make a positive contribution. As a global chemical company with operations in many countries, our approach to communities varies widely, depending on where our sites are located. For example, in remote sites, such as Phosphate Hill in outback Queensland, Australia we have few neighbors. In regional towns we are often a major employer and customer and, in industrial estates, we are one of many other manufacturing or distribution businesses. Appropriately, most of our community consultation activity is in support of major development projects. These construction projects are typically multi-million dollar developments, taking place over months and years. The local community, understandably, has questions and concerns about how such developments may impact them. We employ stakeholder and community engagement specialists to support the project teams and our local people to ensure timely, transparent communications throughout a project’s life cycle. Our Community Investment Framework helps us to build lasting, sustainable and meaningful relationships with local communities and improve the level of engagement with our employees, as they are empowered to make a difference within their local communities. It also sets minimum standards all businesses and sites within the Group are required to uphold when administering community spend, ensuring a consistent global approach. Importantly, the framework also allows each IPL business and site to respond to the distinct needs of their stakeholders and circumstances with localised approaches via the IPL Community Fund and Dollar for Dollar Program. One of our focus areas of our sustainability agenda has been to use less non-renewable resources in our operations. We have established reduction targets for our Australian manufacturing sites and we will announce and report against these for the first time next year, once we finalize our reporting methodology. Vice President Sustainability, Clare Luehman, said the targets were aligned with the focus on running lean, energy efficient plants while at the same time monitoring how environmentally efficient our operations are at converting raw materials into final product. “A number of working groups were established across Australia to research, consult and develop their own site targets with more than 75 site specific initiatives identified and agreed to by our local site managers,” said Clare. While there is a substantial amount of work to be done to achieve these targets, some of our sites are already starting to see results that are both cost-effective and environmentally responsible. 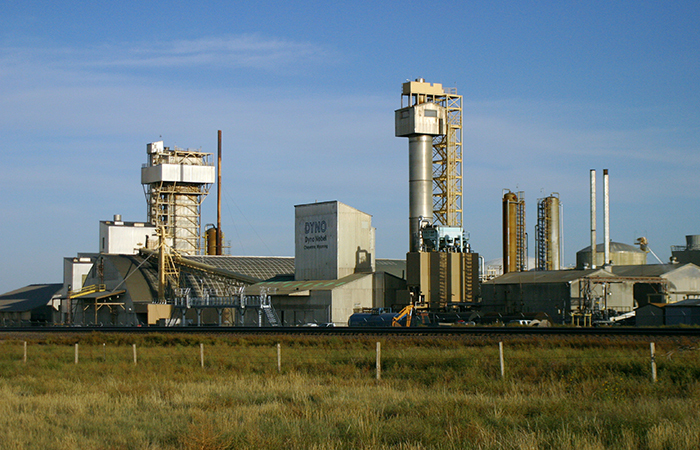 For example Dyno Nobel Asia Pacific’s Warkworth site, in the Hunter Valley New South Wales, achieved its target to divert all ammonium nitrate bags from landfill by the end of 2013, saving approximately $46,000 per year and making approximately 70 tonnes of plastic available to be recycled. Each year 30,000 bags were stored on site before being transported to landfill. In March 2012, staff were trained to use a bag baler which meant the bags could be baled and collected by a recycler at very little cost. This recycling project is being implemented at several other Australian sites which also empty ammonium nitrate bags, and will produce similar recycled plastic tonnages and savings. "Our targets are aligned with the focus on running lean, energy efficient plants while at the same time monitoring how environmentally efficient our operations are at converting raw materials into final product." Another recycling project at Dyno Nobel’s Bajool site in Queensland is delivering a win-win scenario for our business and a local farmer. Previously, the explosives storage and distribution site had to store and safely dispose of approximately four tonnes of floor sweepings of ammonium nitrate which were lost in the bagging process every six months. Three employees developed a cost-effective and safe solution to the problem. By combining 60 per cent sand with 40 per cent ammonium nitrate, the spill is converted to a safe nonexclusive form of nutrient that can be used as nutrient rich topsoil. A local farmer accredited to handle ammonium nitrate uses the topsoil on his property. A third project involves two solar power trials at Dyno Nobel sites in Queensland. These trials are implementing innovative energy saving offices from Blue Planet Buildings at Lady Loretta Mine near Mt Isa and the Ernest Henry Mine at Clonclurry. The flat pack solar buildings can be used in any remote location as long as there is sun. With six buildings fitting onto one semi-trailer, the freight cost is greatly reduced and buildings can be quickly mobilised. They are also rated to the highest Australian Standard cyclone rating. The 2014 environment targets and initiatives will be measured, monitored and audited through our reporting system which has been implemented across Asia Pacific manufacturing and distribution sites. The next step is to set targets and roll out a central reporting system in our North American operations.